I’m currently shooting with three different types of camera. My primary system is Olympus, with the OM-D EM5 being the main body and an E-P5 as a backup/carry it around solution. A Hasselblad 500 is a lovely enough tool that it’s even gotten me back into film to a limited degree. Finally I just got an entry level Phase One DF+/P20 for digital medium format. And of course I always have my iPhone with me – it takes surprisingly good pictures for a pocket sized package. I started this journey several decades ago when I enrolled in Graphic Arts in high school. Photography, silk screening, offset and and moveable type printing were the areas covered. All of it was interesting, but photography was the bug that really bit me. I think maybe the first two rolls of film I developed were shot in an Instamatic (anyone remember 126 film and flash cubes? ), but 35mm was where the cool kids were, so off to the camera store I went. My first new camera was a Zenit B – a Russian build SLR that was simple, tough, and most importantly for a high schooler of limited income, it was cheap. Over the next couple of years I played with a couple different cameras, learning a respect for rangefinder, single lens reflex and even twin lens reflex. Seeing I was truly interested, my Dad bought me my first professional camera, a Canon F-1 with a 55mm f1.2 lens, and I was in heaven. While Nikon was the big dog as far as SLR’s were concerned, somehow they never did anything for me. I shot with the Canon for several years, but during my time in the Navy it became clear to me that I wasn’t carrying as often as I should because of the size and weight. 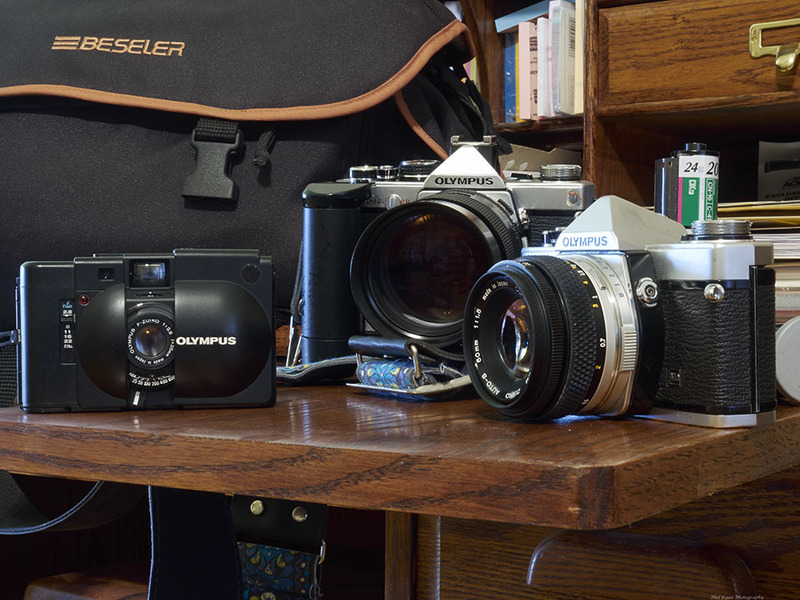 The Olympus OM-1 caught my eye, and after some research I switched over and never looked back. I also learned that the cheap camera you had was better than the best camera at home, and got myself a Kodak Pocket Instamatic 60. The picture quality wasn’t as good as a 35mm, but a lot of photos in my scrapbook were taken with it. The Pocket Instamatic lasted me a couple years, but the plastic construction was a bit fragile, so once the amount of duct tape holding it together got excessive I picked up an Olympus XA – a sweet little 35mm compact camera that I still have to this day. I was a slow convert to digital, not because I had any issues with digital photography but because many of the early digital cameras were built more as consumer electronics than cameras. My OM-1 and OM-2 were doing fine work for me, so what was the hurry? I finally picked up an early Nikon point and shoot in 2005 while in Kuwait, and while it worked I really didn’t care for the interface much. The wife Karen and I went through an assortment of point and shoots over the next few years, with me finally ending up with the Canon SD-940 that did fine service throughout my 2010 Iraq tour. In late 2009 Karen decided that she wanted to move up from the point and shoot to something a little more versatile, and the new mirrorless cameras looked promising. 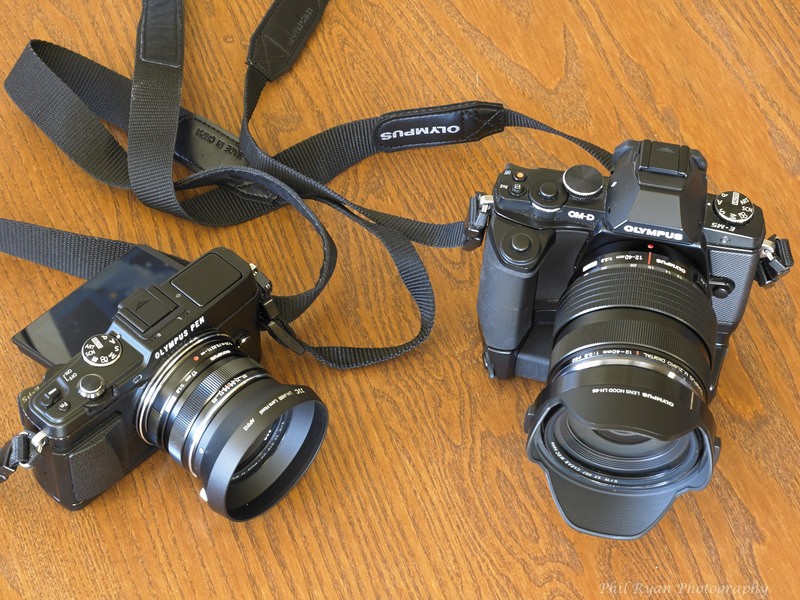 She didn’t want to deal with the size of DSLRs, and after a little research settled on the Olympus E-PL1. I picked up an E-620, and while I liked a lot about the camera, it wasn’t until the OM-D was released that I really came back into the Olympus fold. Karen has since moved up to the OM-D herself. Last year on an impulse buy I picked up a Hasselblad 500C/M. They’re affordable now, and old Zeiss glass is still Zeiss glass. To be honest, while I picked up a couple rolls of film for it as well, I was prepared for it to be a display piece. Wrong. In picking up a camera loaded with 12 exposures that you couldn’t see until later, I found myself forced to think about the picture I wanted prior to pressing the shutter. It’s easy to forget that principle when you have 1700 shots and an LCD display on the back to for instant gratification. I found that people didn’t respond the same way when you took their picture. I liked what I was seeing, both the kinds of pictures I was getting and that old film look. So now I shoot some film again, scan the negatives and have all my digital post production available. It’s the best of both worlds. You may be saying, “Phil, where’s your DSLR?” Well, I’ve got one, kinda, but the truth is I don’t feel the need for the full frame offerings of the major manufacturers. Let’s face it, I’m not going to be shooting features for Sport Illustrated, and I’ve found that the Four Thirds format used by Olympus prints nicely to 24 x 32 inches. Plus, for some reason DSLR’s are big and clunky even by 35mm standards. Why carry the weight of a monster camera plus the lenses? The only answer to me is that you absolutely need the quality for huge prints. 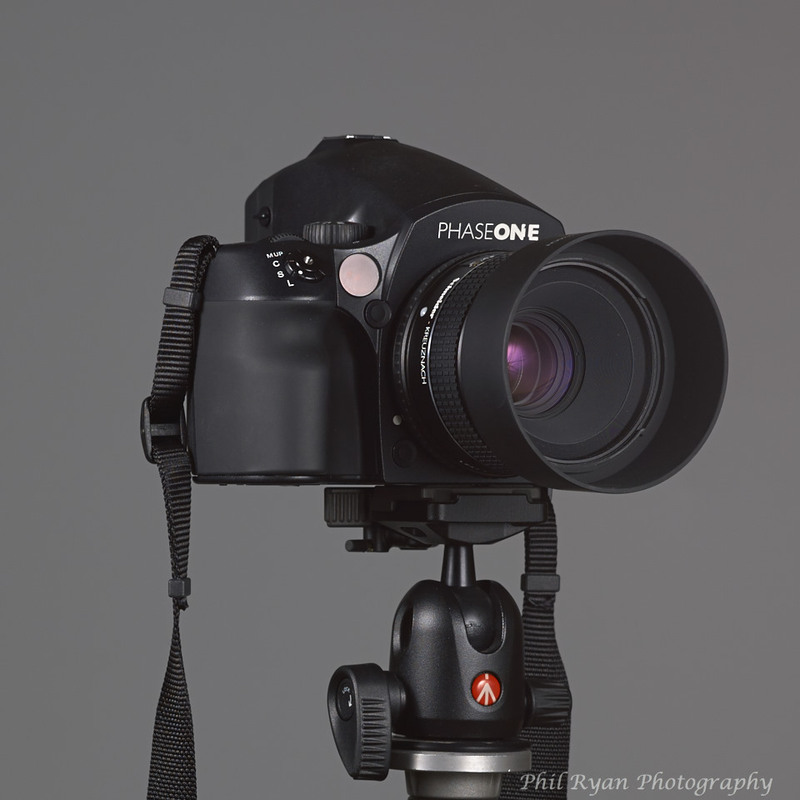 So I picked up a refurbished Phase One DF+ with a P20 digital back for less than it would have cost to get one of the established professional level full frame cameras. It has the disadvantages of medium format – big, slow and not at it’s best in low light, but when you really need the resolution, you’ve got it. And like the Hasselblad, it’s a camera that makes you want to slow down and get the best possible shot. I also like the way I can upgrade the back if I feel the need without buying a whole new camera. This entry was posted in Hardware, Pontifications and tagged Hardware on January 8, 2014 by Phil Ryan.